As the world rang in the new year, a few lucky parents welcomed 2019's first children in D.C.-area hospitals. WASHINGTON — As the world rang in the new year, a few lucky parents welcomed 2019’s first children in D.C.-area hospitals. 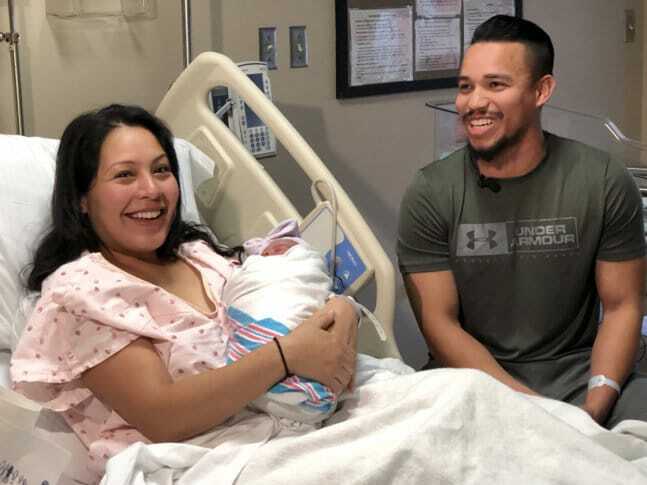 Adventist HealthCare Shady Grove Medical Center welcomed its first baby just 34 seconds after the ball dropped in Times Square. The newborn girl, Meilani Morales, named for her grandmother, weighed in at 5 lbs. 15 oz. Her proud parents are Julie Palencia and Silvio Morales of Silver Spring. Washington Adventist Hospital in Takoma Park clocked in its first newborn at 3:04 a.m. Both families received a special gift basket with toys, books, clothing and other baby essentials. “We are delighted to welcome the first baby of 2019 at our Birth Center,” said Kathy Dallas, Director of Women’s and Children Services at Shady Grove Medical Center. “Our team looks forward to adding many more Shady Grove babies to our family in the new year,” she said.